Leopold Kessler’s works focus on public space, exploring the topography of cities—from the traffic signs that structure urban life to the modes of behavior influenced by it. The artist’s interventions aim at squares, paths, street signs or street barriers, which serve as material for his sculptures. Moreover he has repeatedly pointed out the gaps that can be found in the systematic organization of social space. For an exhibition at the Neue Galerie in Graz in 2006 Kessler increased the water pressure of the Erzherzog-Johann fountain on the city’s main square, with the effect that for a certain time the water spilled onto the ground around the fountain. Along with this intervention he created a video that displayed the square with the fountain in the middle from a tourist’s point of view. The tourist’s view on the city is covetous and presuming, with the intention to make urban complexity and impermeable mobility legible and more manageable. Although working with public space, Kessler does not see this as a public mission. His unsolicited actions or interventions go almost unnoticed, since they are hidden or appear as authorized acts or construction-related measures. 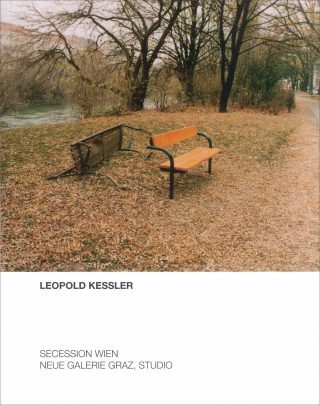 For the Secession Leopold Kessler has created the high-definition video Perforation Kal. 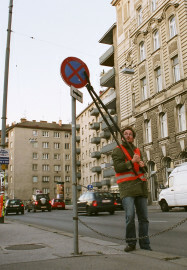 10 mm, which shows a series of interventions at various locations in Vienna. A man, dressed like a street worker (Kessler), is strolling through the quiet early morning streets in a completely self-evident manner. 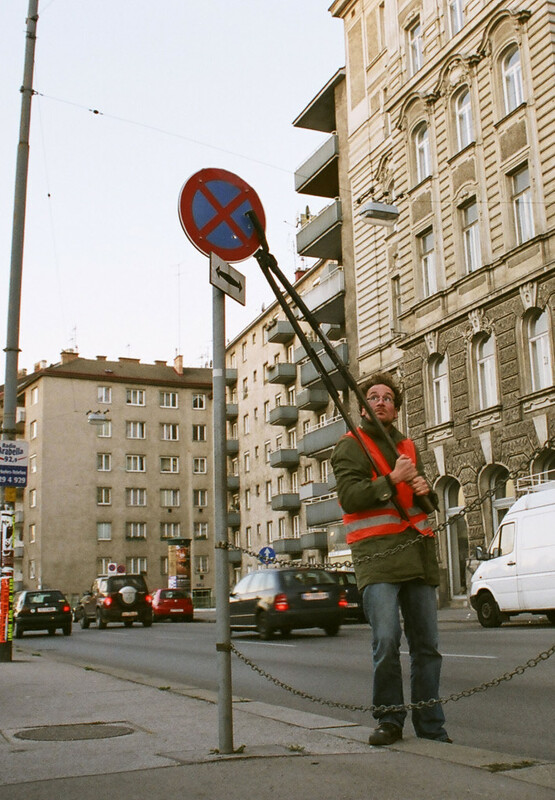 He punches holes in street signs using an oversized hole-puncher, which he has designed especially for this purpose. Perforating the signs seems to involve a lot of effort, requiring considerable strength while making a great deal of racket. Kessler displays an amazing nonchalance in his work and even makes himself liable to an administrative fine. Visiting various locations on one given stroll, he hardly leaves any traces behind. The meaning of these interventions cannot be immediately grasped. 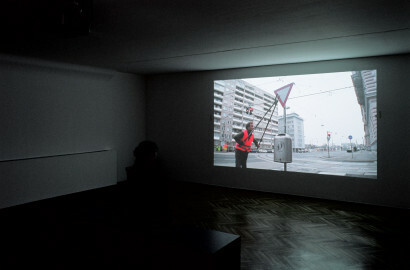 Kessler directs the viewer’s attention towards the inversion of visibility and invisibility, since it is precisely the brightly visible neon-orange vest that makes him invisible for most people. Within the exhibition setting Kessler’s interventions even draw international attention. 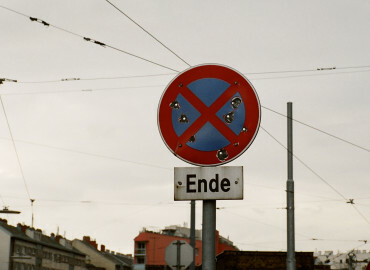 Is Leopold Kessler interested in the holes he has punched or the signs? 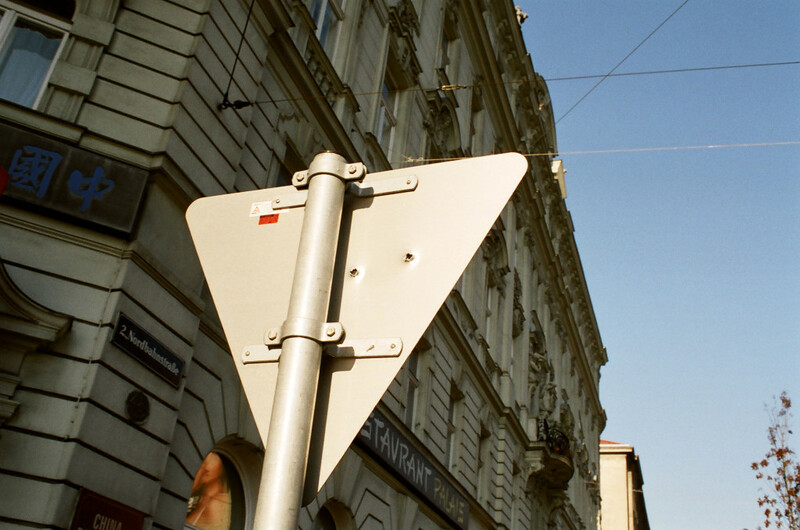 Do the perforated signs still function as traffic signs or have they already become sought-after collector’s items? At what point do the irregularly arranged holes result in a pattern? Can the perforation form a line, a surface as Kessler strolls through the city? Thomas Bernhard describes strolling as an act that motivates and articulates thoughts, reflecting the relation between movement and standstill. Or do these holes simply allude to the use of firearms? 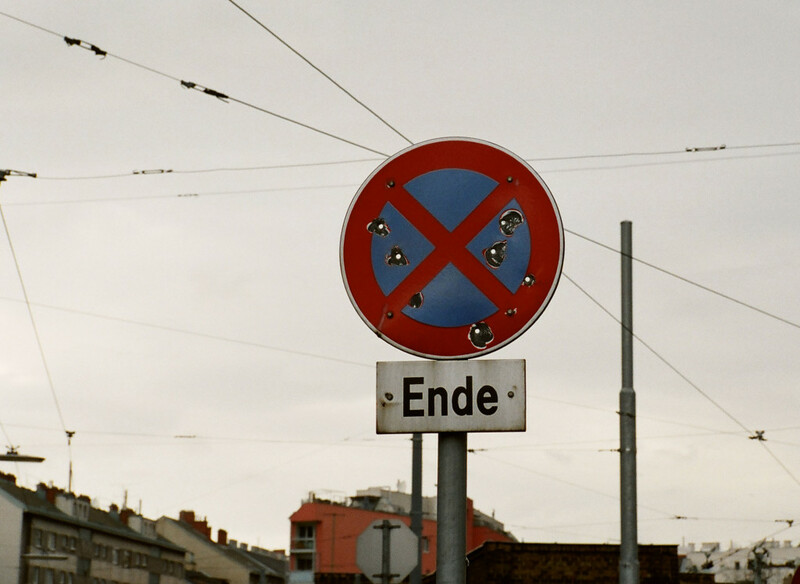 Street signs with bullet holes are not an uncommon sight in the outlying areas of large cities. Furthermore the choice of bullet holes is again referring to the tourist’s perspective, which seeks out the potential danger as an urban attraction. In this case however, the artist’s work is being shown at the Secession, one of Vienna’s most photographed buildings and a major tourist sight. Leopold Kessler, born in 1976, lives and works in Vienna.